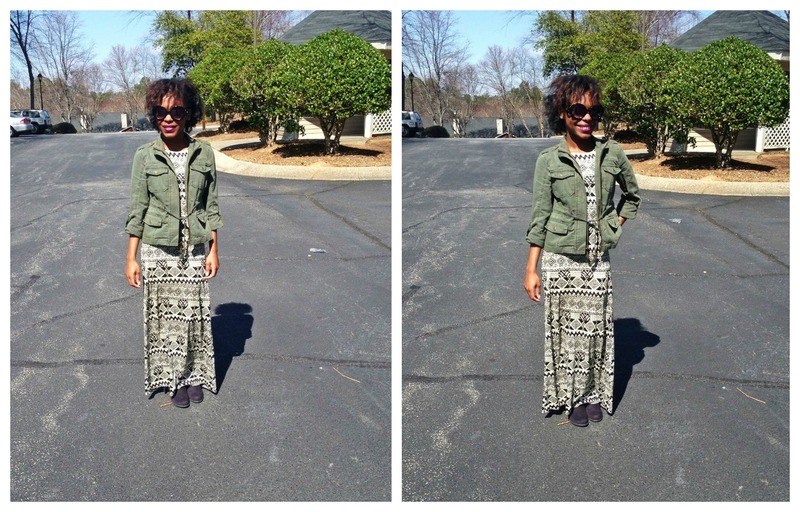 Above, I chose to pair my jacket (from Macy’s) with a maxi dress. The goal is to always keep it simple. There’s absolutely nothing wrong with mellowing out a super girly look with this jacket. Pop your collar, girl. I’m a huge fan of casual attire. Slip on a blouse and some boyfriend skinny jeans and head out the door. This last look is probably my favorite; a look that I’m fearful of trying. I don’t wear sneakers (unless I’m going for a jog and that’s almost never) but the high tops and leather jeans together rock! One day, one day. How are you styling your cargo jacket? If you don’t have one yet, get to it! This entry was posted in Fashion, My Style and tagged fashion, style, trends. Bookmark the permalink. I once had a cargo jacket and it went with EVERYTHING! Then, one day, it disappeared into thin air. Which, as sad as it was, gives me a great reason to cop a new one! Cute looks above!